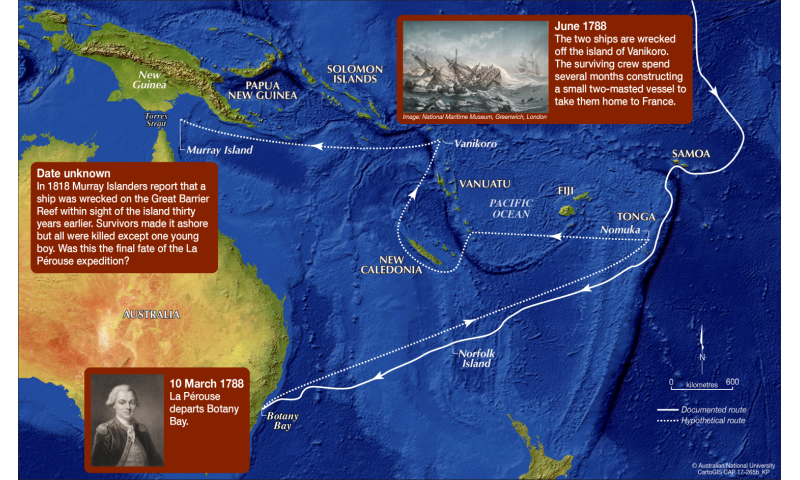 An anthropologist at The Australian National University (ANU) may have stumbled across a clue to resolving one of the most enduring mysteries of Pacific history - the fate of famous French navigator, Jean François de Galaup, Comte de La Pérouse who disappeared in 1788. 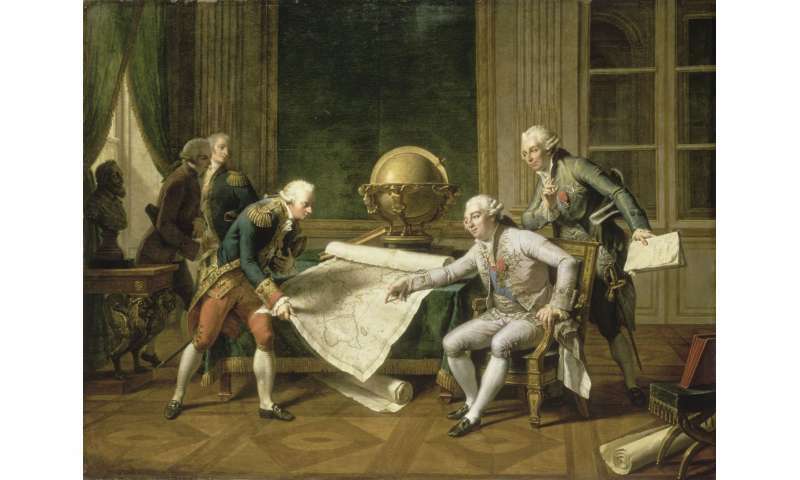 Nicolas-André Monsiau's 1817 famous oil painting 'Louis XVI Giving Final Instructions to the Comte de la Pérouse', which is on display at the Palace of Versailles. Credit:State Library of NSW. 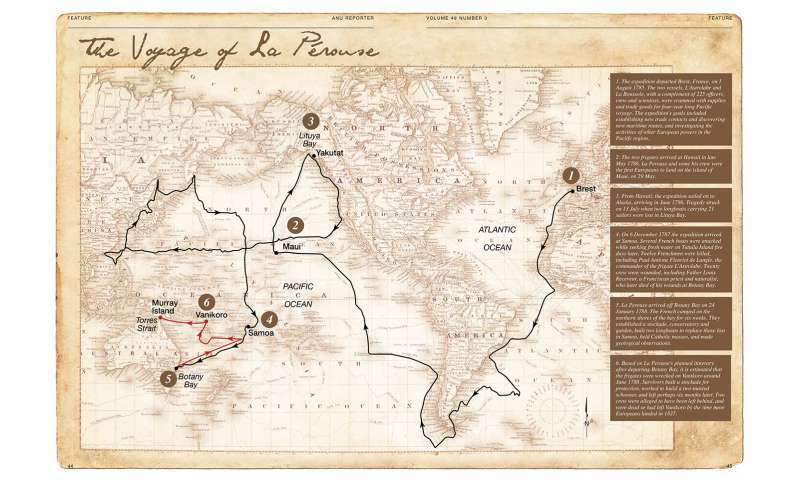 "It could well be that the final phase of the La Pérouse expedition ended in tragedy in northern Australia. Future recovery of artefacts from the wreck site on the Great Barrier Reef - yet to be discovered - or the islands, will hopefully provide final confirmation."